Newport County travel to National League North side Brackley Town in the FA Cup first round proper on the weekend of starting 6 November. 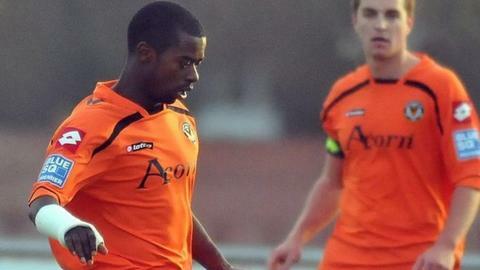 Brackley are managed by ex-Wrexham boss Kevin Wilkin and have former Newport defender Eddie Odhiambo in their ranks. "There was always a decent chance of playing one of my old clubs," tweeted Odhiambo. Brackley beat Bamber Bridge 3-0 in the first qualifying round last weekend to enter Monday's draw. Tanzanian Odhiambo arrived at Newport in July, 2010 and after being released joined Gateshead the following summer.